For as long as advertisers have been using photography, photographers have been reaching out to art directors. And they all do it in the same way – they mail out postcards with examples of their portfolio. These printed promos end up in the exact same place – the recycling bin. Toronto-based photographer Aric Guité approached Havas Worldwide Canada to help him find an entirely new way to capture the attention of ad professionals and showcase his talent. The solution was an innovative direct media campaign called #CollabWithAric. To begin, the agency sat down with Aric and made a list of the top 50 art directors who he had always wanted to work with. The team then went to the one place where every single art director connects with their love for photography: Instagram. Havas combed through the Instagram accounts that belonged to the art directors on the list and picked one iconic image from each. Aric then created his own photo that answered or accompanied the art director’s original image in a funny or thought-provoking way. 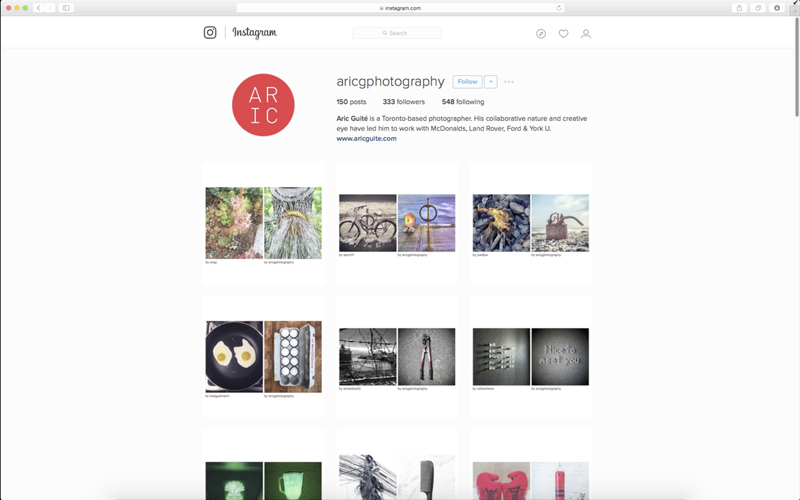 He combined the images into one Instagram post that he then added to his new account @aricguitephotography. Aric also created personalized comments that referenced the original photo and then tagged the art director. Each of these combined posts illustrated Aric’s abilities, while also showcasing his sense of humour and his ability to collaborate. And by celebrating the art director’s original photo, it was a subtle way to ingratiate Aric to his intended target and initiate a conversation. In the past, Aric’s direct mail promos would have a response rate of only 5%. This campaign had a dramatically different result. To date, over 65% of the art directors have responded with a personal reply on Instagram or with a personal email. And most importantly, since the beginning of this campaign, Aric has received work from 20% of the art directors that he contacted.